I wasn’t sure whether to write this post or not – I don’t want it to be taken in the wrong way, but recently there’s been a lot of negativity surrounding the blogosphere. I’m not one to get involved in online drama, and I much prefer to keep quiet more often than not. I was sat a few weeks ago, scrolling through yet another twitter drama and this blog post idea sprung onto me. Don’t get me wrong, I bloody love blogging, and for the most parts, the blogging community too. Heck, would I still be blogging 5 years down the line if I didn’t. But there are a lot of things that concern me within the influencer industry, and today I thought I’d shed a spotlight on them. As an avid geography student, lover of the environment and a total ‘save our planet!’ attitude, the waste is something that massively concerns me within this industry. I often find myself watching youtubers go through their PO boxes, which are full of the most extravagant recent PR releases. From endless, unneeded packaging, to full shade ranges of makeup, I can’t help but think how much waste there is. Is it really necessary? What is Zoella going to do with the full foundation range of Fenty Beauty? I understand often influencers perhaps share with friends, or donate these products, but this isn’t always the case, and I can’t help but think there are more sustainable ways of doing these PR releases. Of course, I know I am probably part of this issue. I accept blogger mail with excess packaging, clothes that I’ll get for free, and probably only wear once or twice, but I still feel the need to express my concerns. Perhaps I should start looking at my waste, and ask myself what more can I do? Of course, I couldn’t miss this one out. If you didn’t know, I am on twitter, and this is where all the drama really happens. I love twitter as a platform to interact and engage with my blog readers, and my favourite bloggers, but recently there’s been a really negative cloud above it all. Every week there seems to be a new issue, and I understand people have the right to express their feelings, but for me, I’m just not about that. I like to stay quiet, and really wish we could keep a lot of these conversations in private, and stick to sharing only love and positivity online. I’m talking about you, Instagram. Of course, I know being a blogger isn’t all about numbers, but to some extent it is. This year I’ve focused on making an income through my blog and social media, and quite frankly, if people aren’t following me, or engaging with my content, brands have no reasoning to work with me. What are they going to get out of it? Instagrams switch up with the algorithm has really f*cked this up for a lot of people, myself included. Growing on Instagram has been practically impossible, forcing me to spend twice as much time on the platform than I needed to, and still not getting the results I want. It seems like they’ve simply got it out for us now. I hope this wasn’t too much of a negative post, but instead, it’s given you some things to think about. 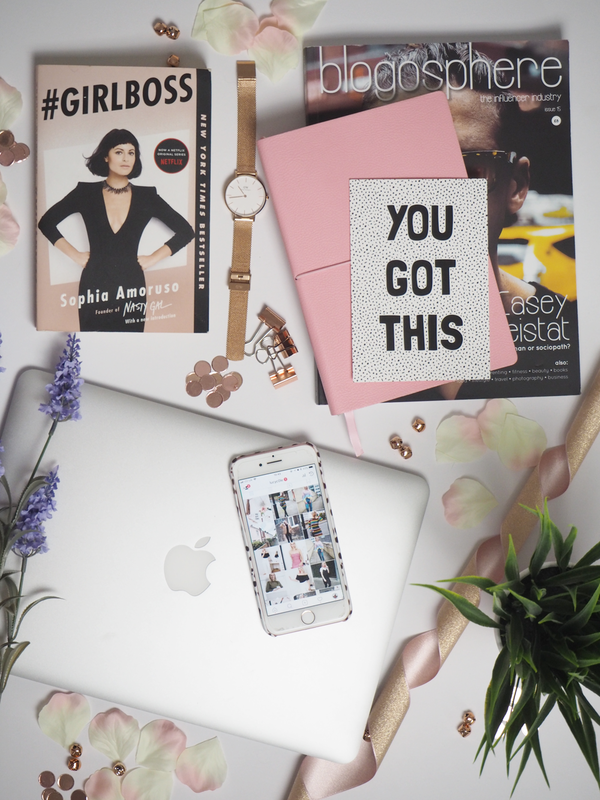 Blogging is of course bloody fantastic, so much so I’ve already shared 5 things blogging has given me. Is there something about the industry you dislike? "5 Ways I’m ‘Switching Off’ from Social Media"
"Givenchy Noir Interdit vs Maybelline Lash Sensational"